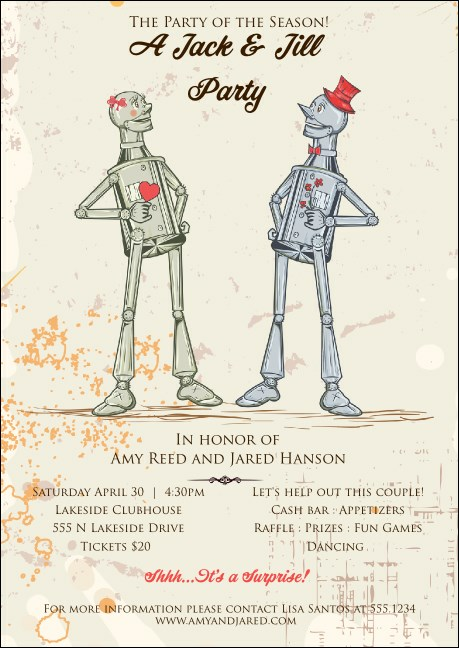 Everyone will save the date when they receive the Robot Jack & Jill Postcard in their postbox. Adorable and unique, just like the couple you’re feting, this design has plenty of room for party details. Love the look? Matching event tickets, VIP passes, and posters are available! Dimensions measure approx. 4.25" x 6"
Get the word out well in advance with professionally printed postcards from TicketPrinting.com.